The INR has weakened off late to about INR70 to a dollar. In the last 5 years, the difference in inflation between India and the US was about 3.95% (the US had lower inflation). The rupee depreciated be a little less than 2%. So, a depreciation was due. What we have observed is that in 5 years or so, Rupee does find its level vis-a-vis the dollar. Last time it was in 2013 and before that in 2008. We also have to see this in the context of dollar strengthening and yuan and other emerging market currencies depreciation against the dollar. Exports have suffered due to Rupee being strong. CAD has widened in last 1 year, and this called for a depreciation of the rupee. We think that 70-71 is par for the course. The silver lining is that crude has come down, which is a positive for India. Exports may now get a fillip. Rupee weakening will help the companies doing exports. So keep an eye on those. Companies which have imports might get adversely affected. In a nutshell, crude coming down is a long-term positive for India. The import of electronic items is the largest in terms of forex outgo now. The government needs to put the impetus on domestic manufacturing of electronics. Some positives on this front are visible, but a lot more needs to be done. Investors need not panic and look for opportunities which a depreciating rupee and fall in crude provide. 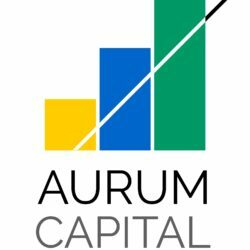 At Aurum Capital, we do keep an eye on these events and look for opportunities arising out of these.